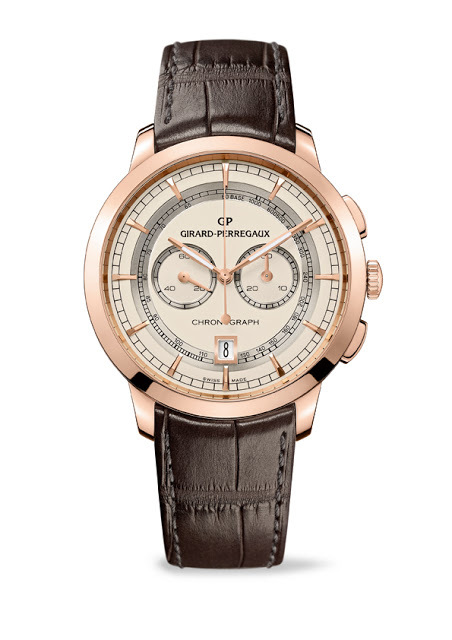 Girard-Perregaux finally has its own in-house, integrated chronograph movement, which makes it debut as the 1966 Integrated Column-wheel Chronograph. 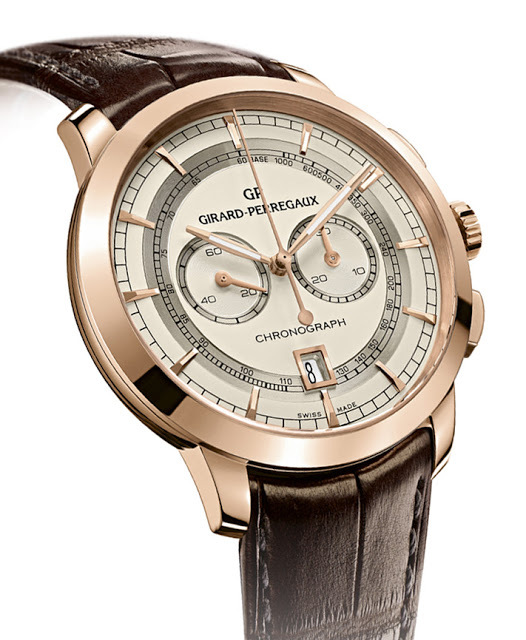 After a long dry spell, Girard-Perregaux has presented two notable and interesting movements at Baselworld 2013. 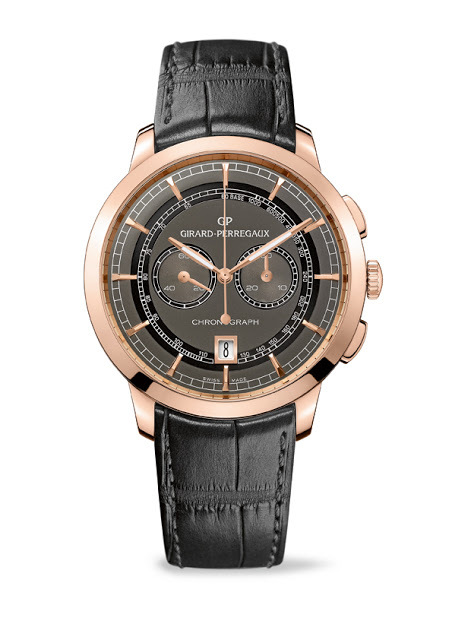 Alongside the constant force movement unveiled before Basel, Girard-Perregaux also has a new manually wound, integrated chronograph movement, the GP 03800-001, presented in the round 1966 case. Based on the tried and tested GP cal. 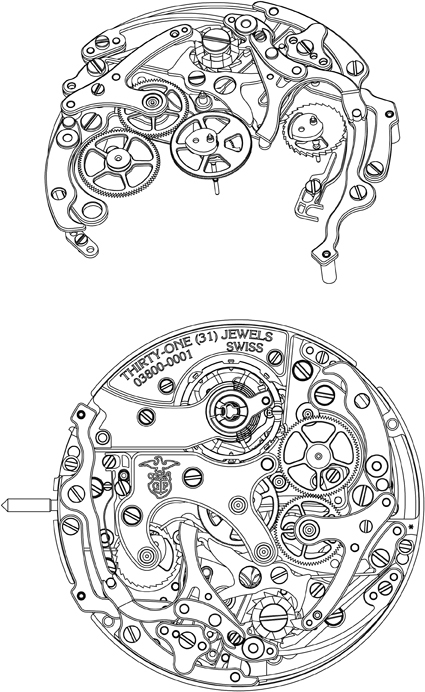 3000 base movement (used by a plethora of brands including MB&F), the GP 3800 movement is an integrated movement. 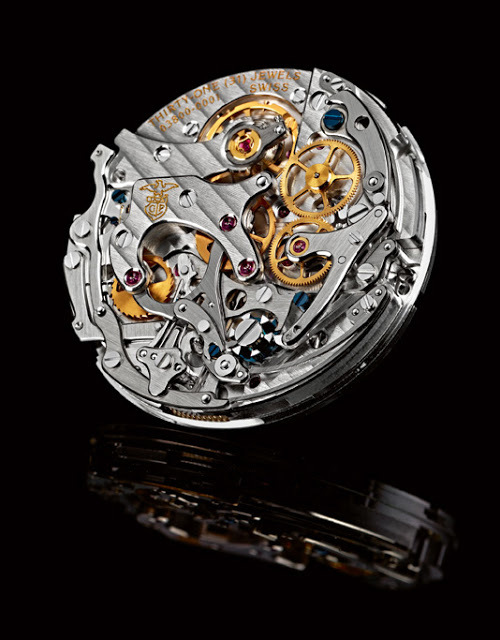 Essentially that means the chronograph mechanism can be seen from the back of the watch, unlike the earlier modular movement GP used which had the chronograph mechanism added onto the dial-side. 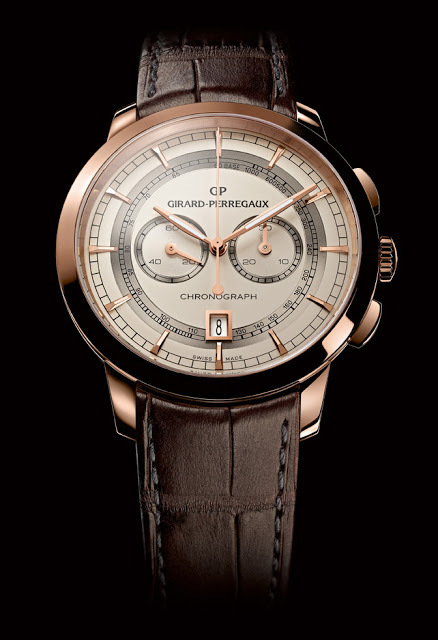 And because GP wisely chose to make this a manually wound, rather than automatic movement, the chronograph mechanism is visible in all its glory. 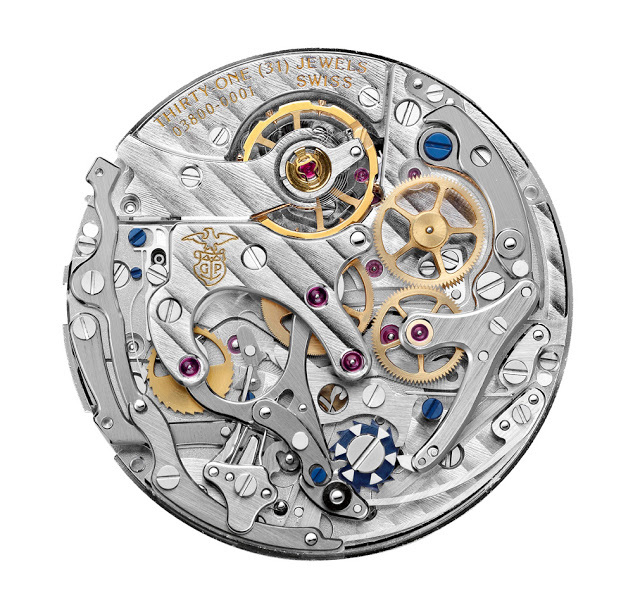 The GP 3800 calibre has some notable features, most notably an instantaneous jumping seconds counter, just like on the Lange Datograph. As each recorded minute passes, the minute hand jumps instantaneously, instead of creeping over as with most chronographs. It also uses GP’s in-house Microvar balance wheel with six adjustable weights and two screws for fine adjustment. Visually it is attractive and well finished. Notice that only the eccentric screws used to adjust the position of levers are blued, while the rest are polished.